Chicago Bioidentical Doctor, Selma Rashid, M.D., is board certified in Internal Medicine and is acknowledged as a global expert in bioidentical hormone therapy for men and women. Dr. Selma Rashid is the author of "Hormones Explained". Dr. Selma Rashid's passion is to provide excellent patient care based on medical facts and unhindered by practices, procedures, and medications promoted by pharmaceutical and medical device companies. Though, Dr. Selma Rashid accepts that aging is inevitable, she refuses to accept that we should allow our health to degenerate when medical science has discovered so much information on how to remain functional. Learn more about Dr. Selma Rashid's experience and approach to correcting imbalanced hormones. 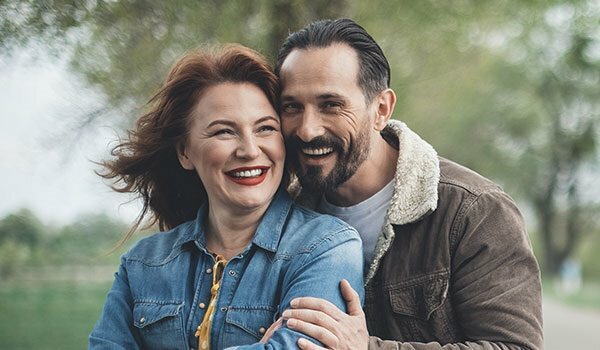 Learn more about the benefits of balanced hormones and bioidentical hormone replacement therapy. Schedule your initial bioidentical hormone consultation today to start living your best life. Call Chicago Bioidentical Doctor, Selma Rashid, M.D. at 800-775-4902 Ext. 121 to schedule your Bioidentical Hormone Therapy consultation. Hormones are critical for your well-being. Your body needs them for every function, with fertility hormones such as estrogen the most important of all. Yet inevitably, they decline with age. Which means you also begin to develop the symptoms of aging. Bioidentical hormone therapy can replenish your hormones, and reverse the decline in functionality, health and wellbeing. However, for effectiveness, safety and freedom from harmful side effects, it’s essential that only natural hormones are used. These hormones are identical to those made in your own body, molecule by molecule. What’s more, unlike synthetic or biosimilar hormones, their production involves no cruelty to animals. Bioidentical hormone replacement therapy is tailored to your individual hormonal requirements, not a mass-produced product. Therefore, you need a treatment regimen supervised by a specialist with up-to-date expert knowledge. The plan will also look at issues like nutrition and exercise. BHRT should be a total, holistic experience, with diet, fitness and hormone replacement all pulling together to restore your old health, vitality and looks. In your body, hormones are critical. They help the body to function the way it should – to think, to move, to eat, drink, reproduce. And this means everybody’s body – men and women, middle aged and old, even young. Hormones affect your organs, your bones, your skin, your brain. Unfortunately, with age and the added insults delivered by our modern western lifestyles, hormones can get out of balance. And that causes problems of all sorts – some of which you may know about, others that may surprise you. In essence, hormones are at the very core of our existence. You may have read about hormone replacement therapy. The chances are, however, that you do not realize the major transformation it can bring in your quality of life. There are many more benefits you can expect, too. However, hormone therapy can only be successful as part of a proper hormone therapy treatment plan. It has to be tailored to your individual needs, and administered by an experienced professional. Dr. Rashid is one of the world’s leading authorities on hormone treatment, and has treated many thousands of satisfied patients across the US and beyond. Following a personal consultation, Chicago Bioidentical Doctor, Selma Rashid, M.D., will assess your needs and create a custom-made plan for you. Why hormone therapy from Dr. Rashid? Questions? Please call Chicago Bioidentical Doctor, Selma Rashid, M.D. with Anti-Aging Medical Group directly at 800-775-4902 Ext. 121 to schedule your consultation, discuss your symptoms and decide on a course of treatment for your specific needs. © 2009-2019 Chicago Bioidentical Doctor. All Rights Reserved.